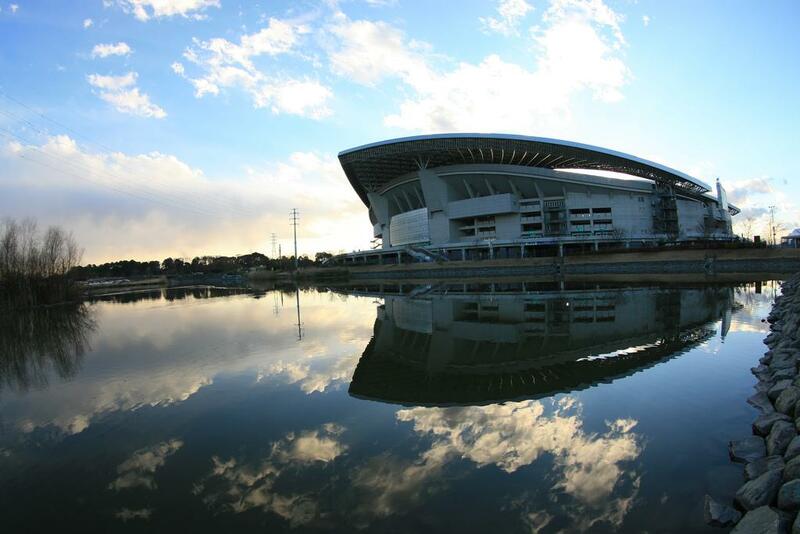 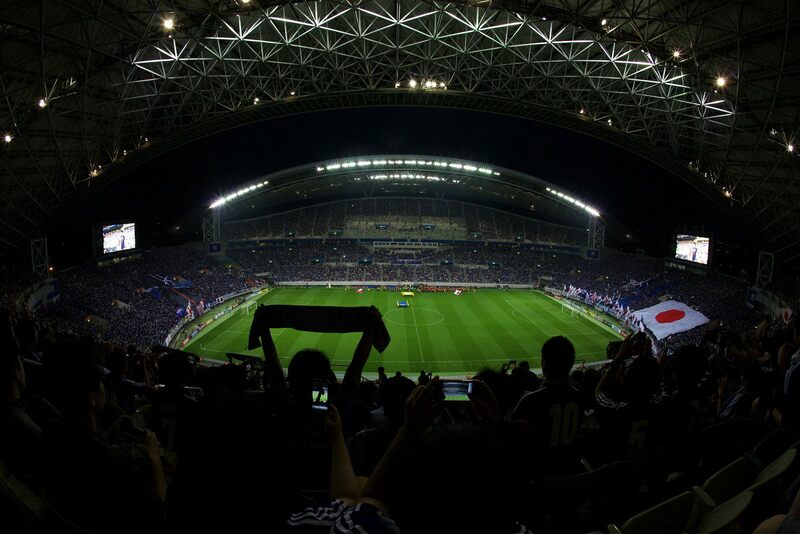 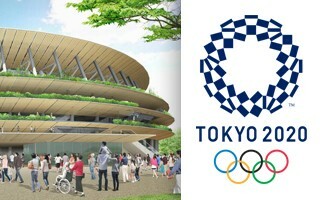 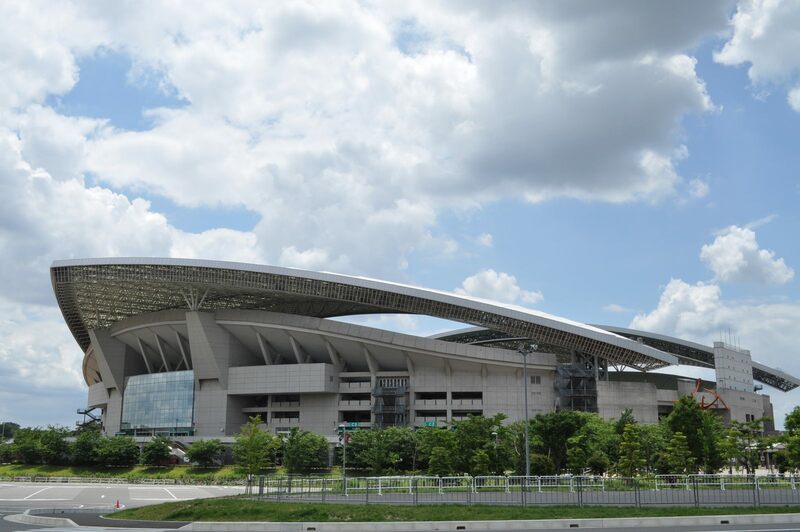 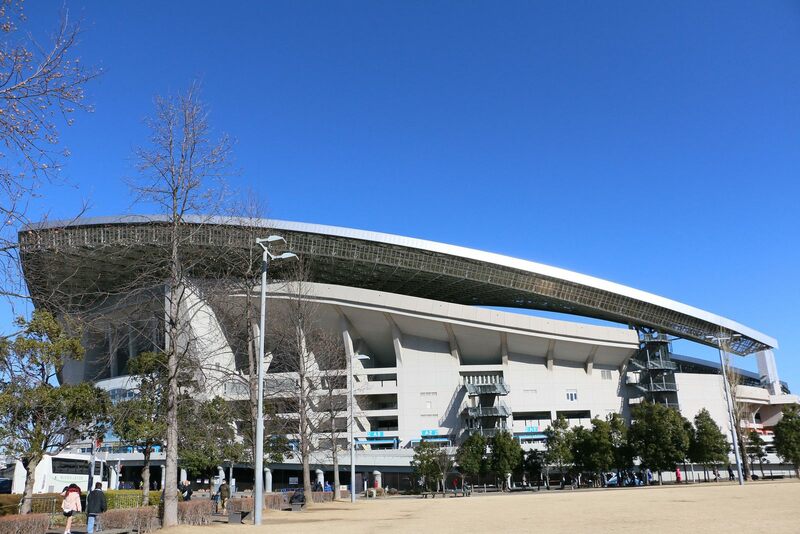 Construction started in 1998, when Japan was preparing for their great début as hosts to first ever FIFA World Cup in Asia. 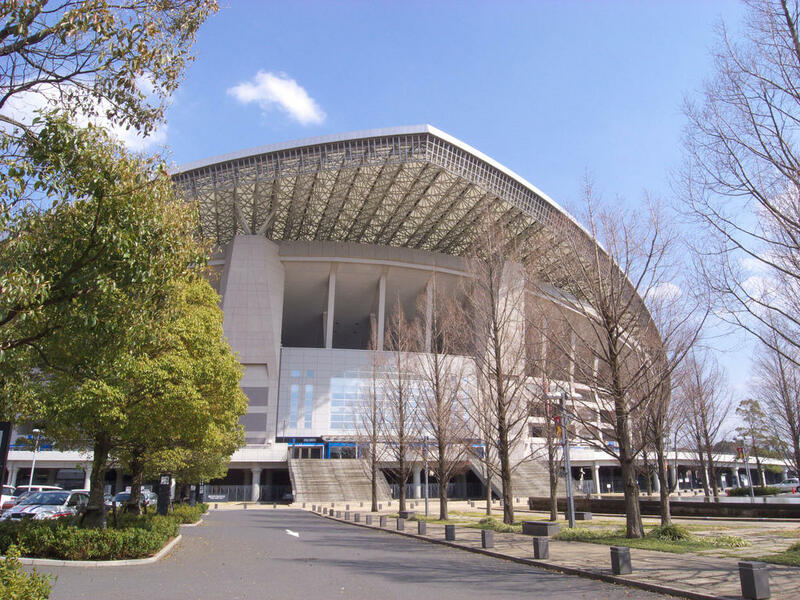 This one, located within the Tokyo metropolitan area, was different from most others for not having a running track and to date it's still among largest Asian stadia built as 'football-specific'. 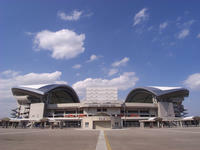 The iconic part of its design is the roof. 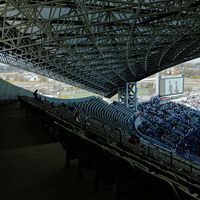 Two vast ‘arched triangles’ spread across 29,000 square meters above the west and east stands (their surface is almost half as big as the entire floor space of the building). 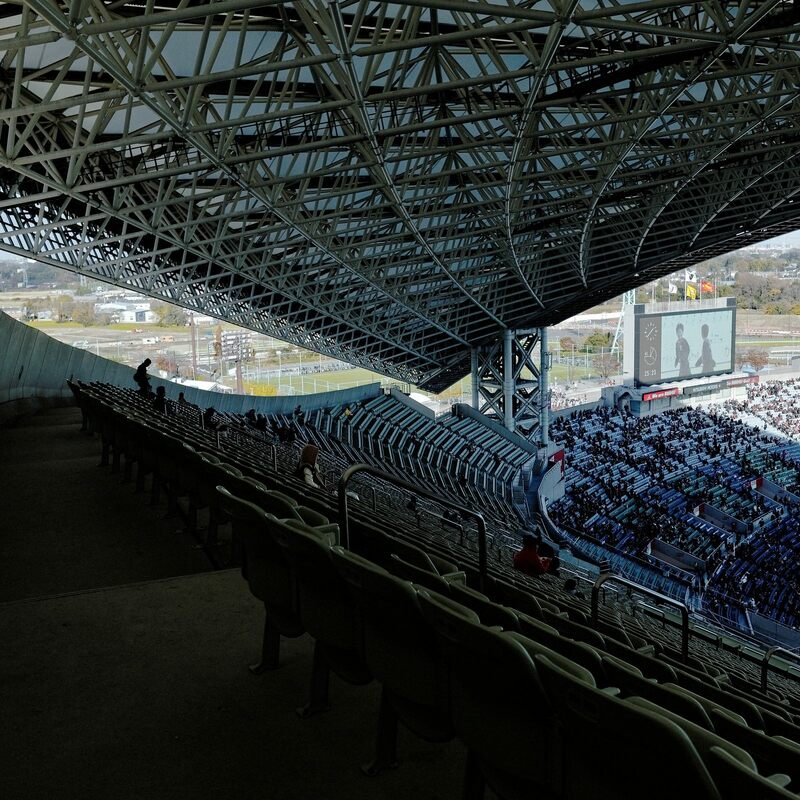 Only the north and south ends are open and single tiered, occupied by large contingents of local (north) and travelling fans (south). 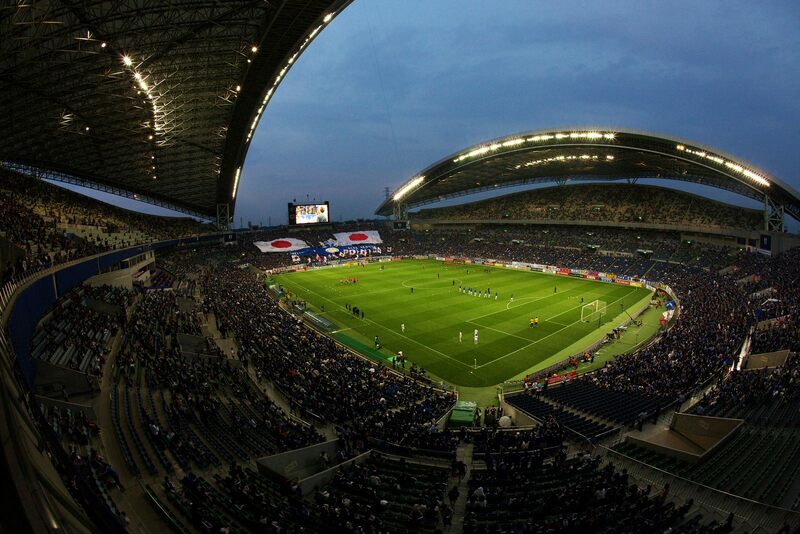 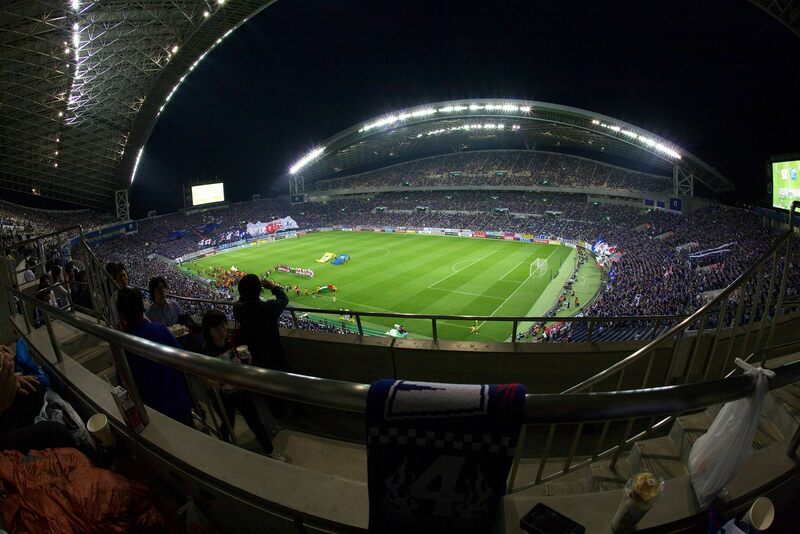 Contrary to most other venues in Korea and Japan it also had a strong tenant that provided constant use after the four 2002 World Cup games (three at group stage and Brazil-Turkey semifinal). 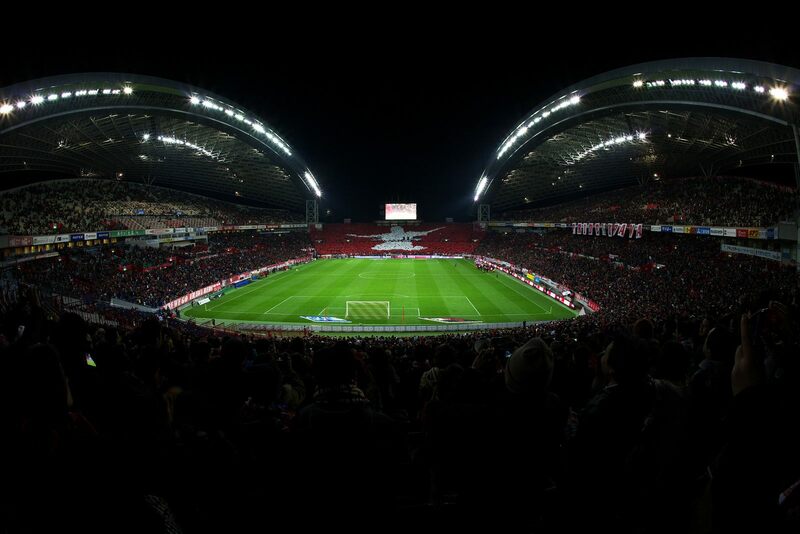 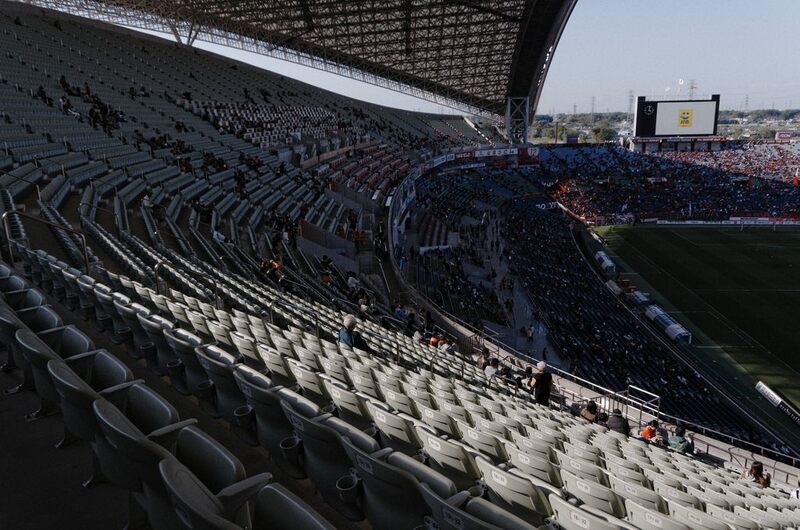 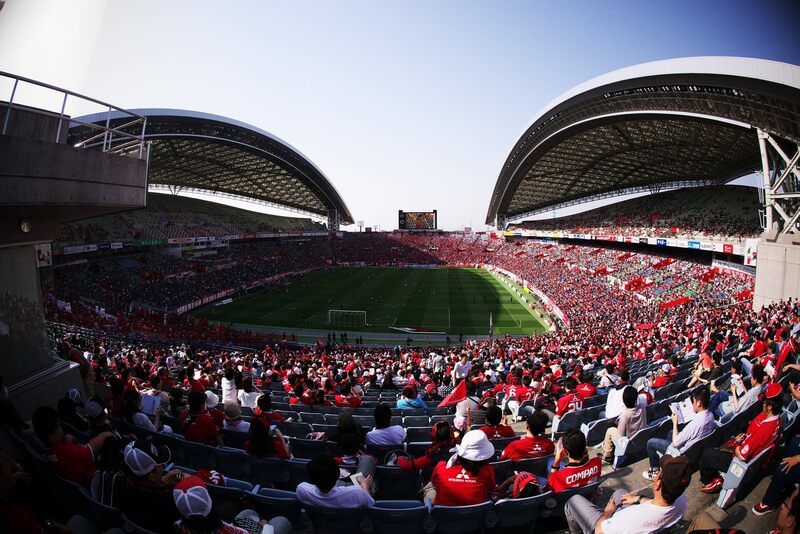 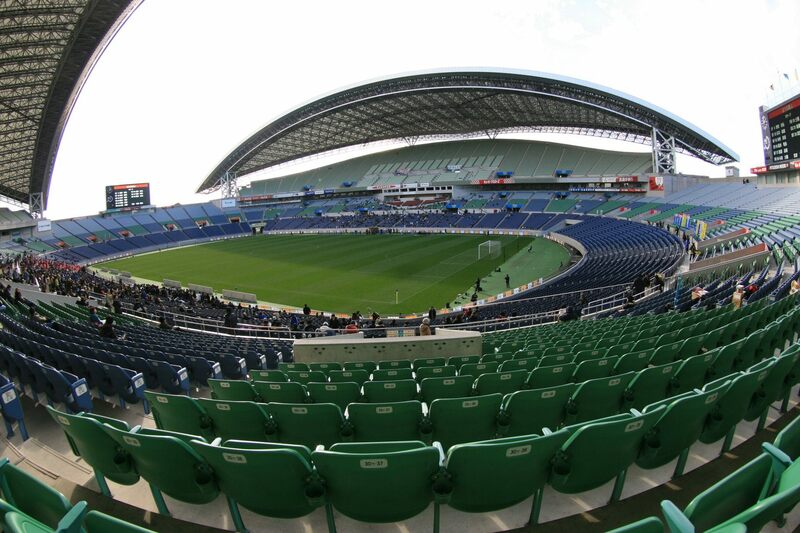 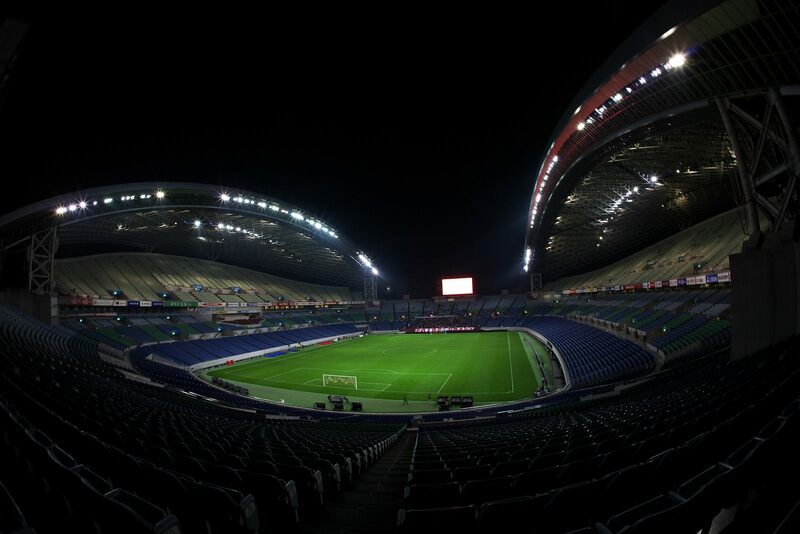 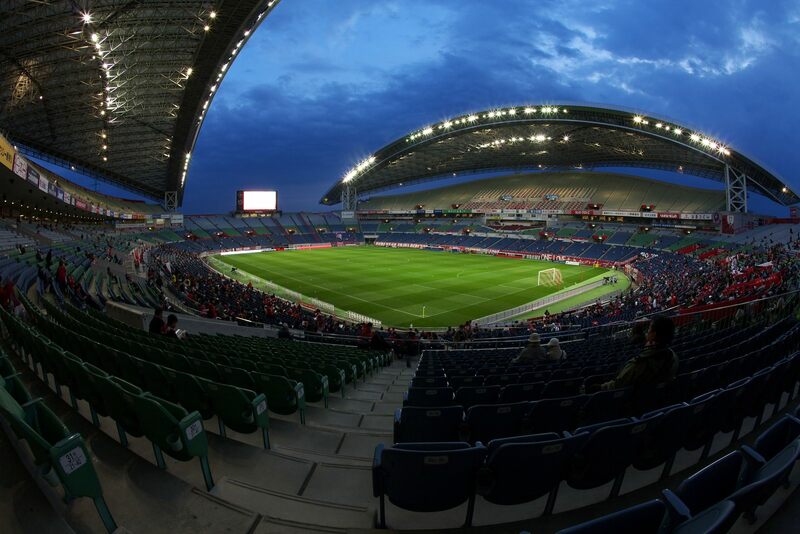 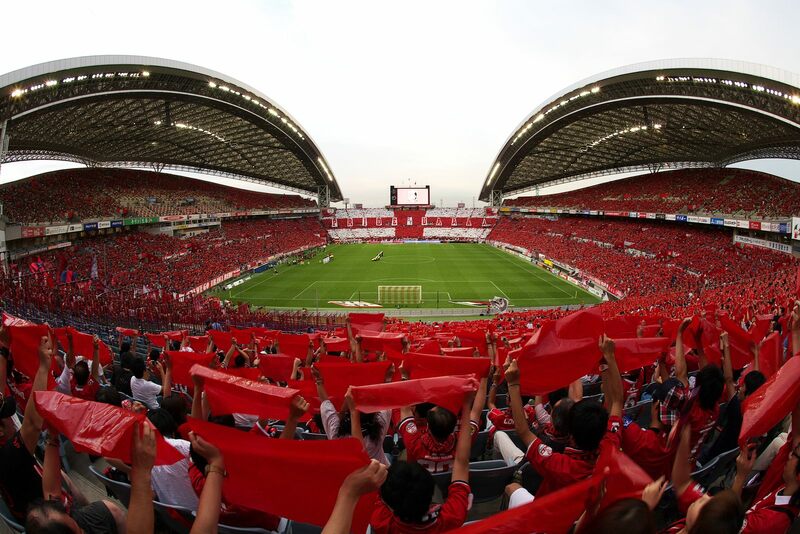 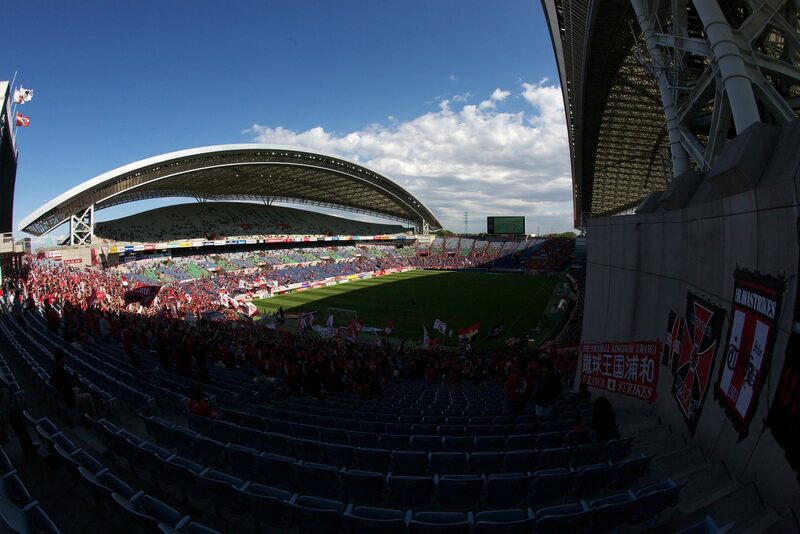 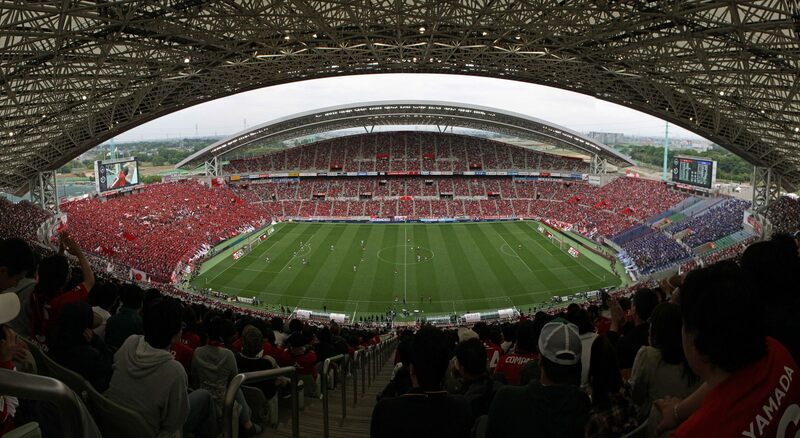 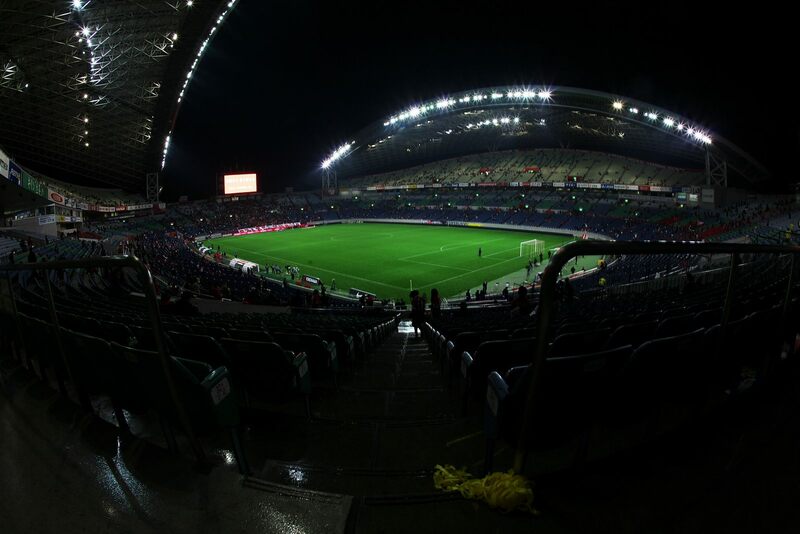 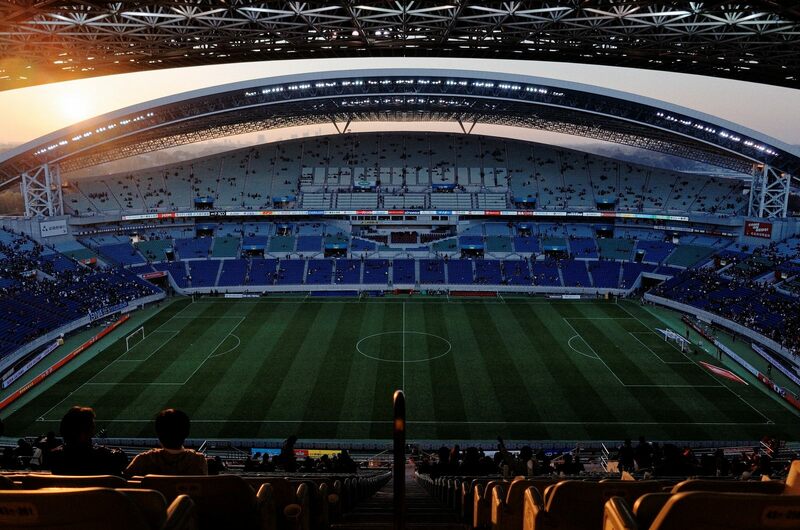 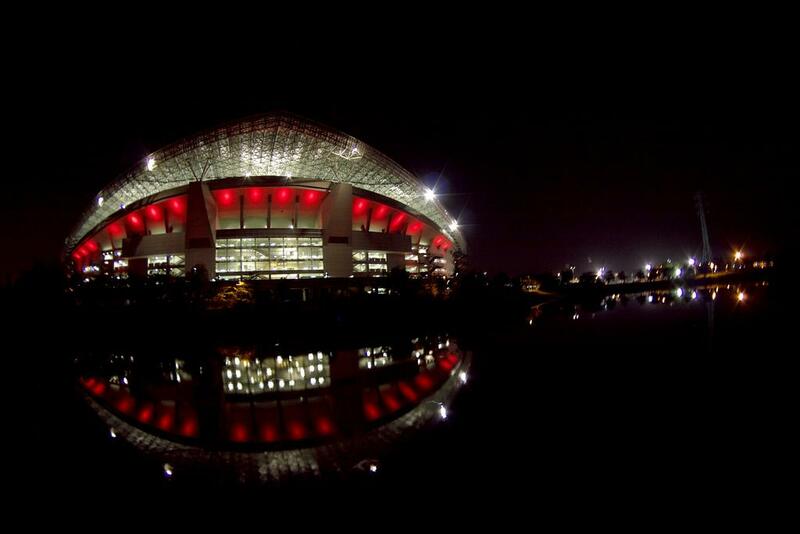 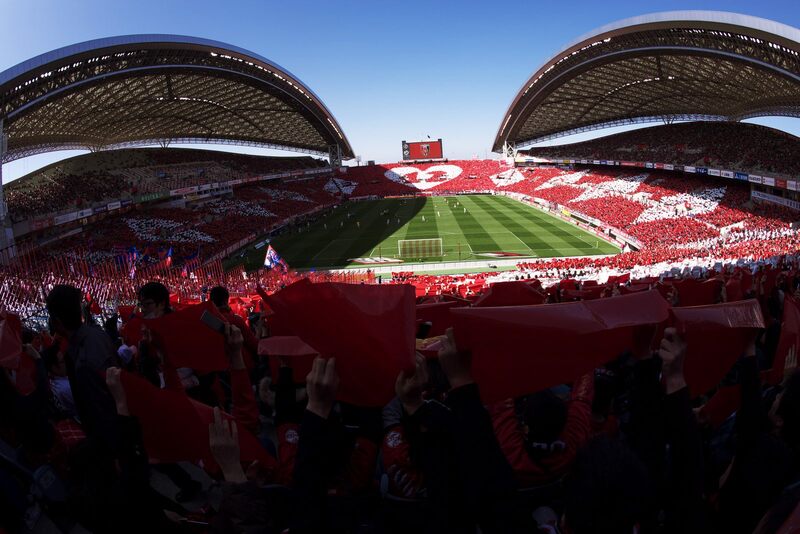 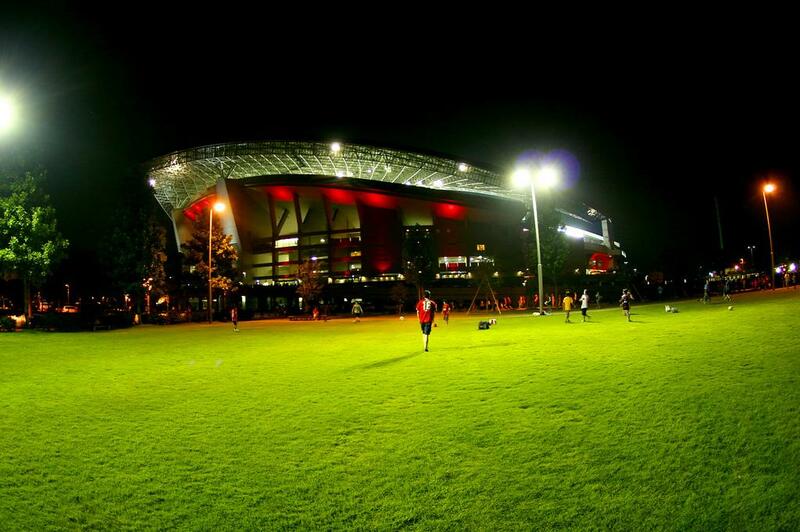 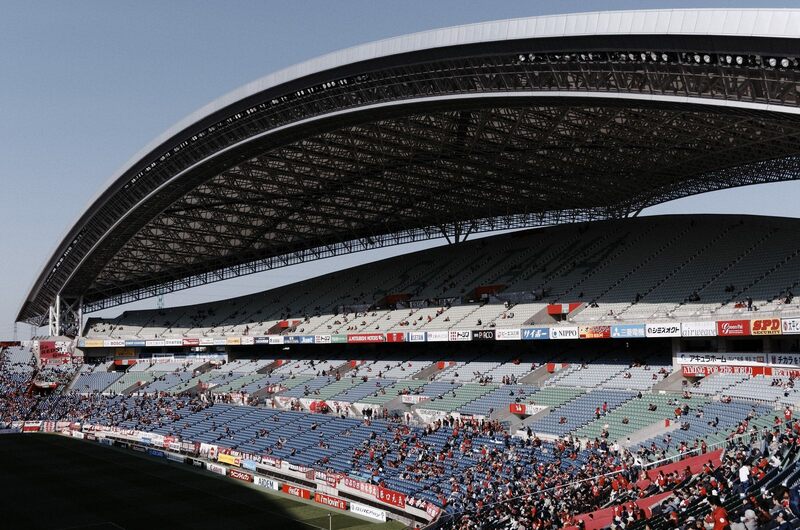 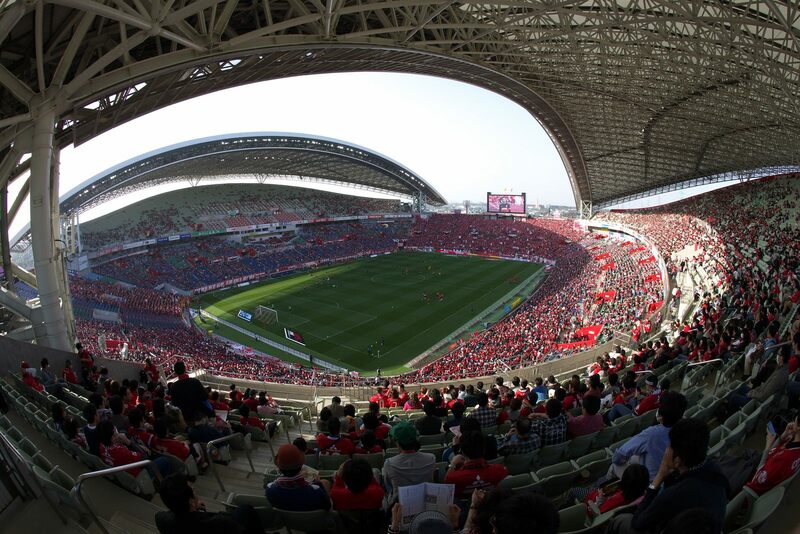 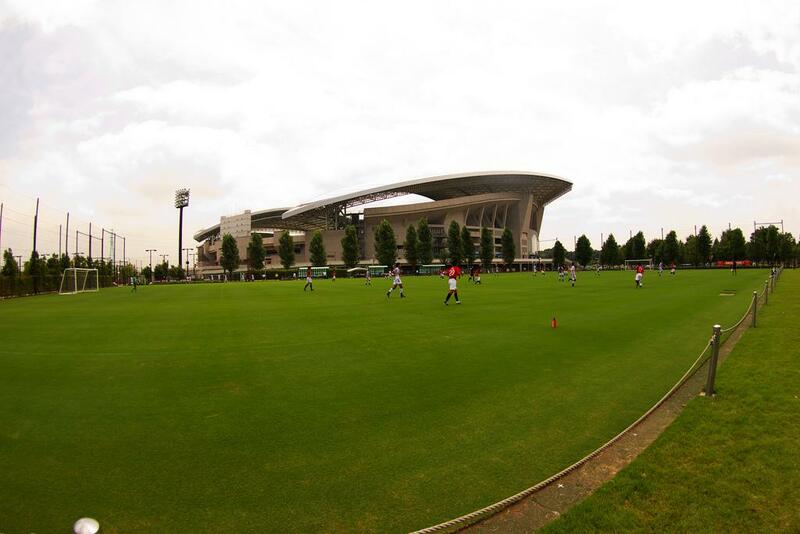 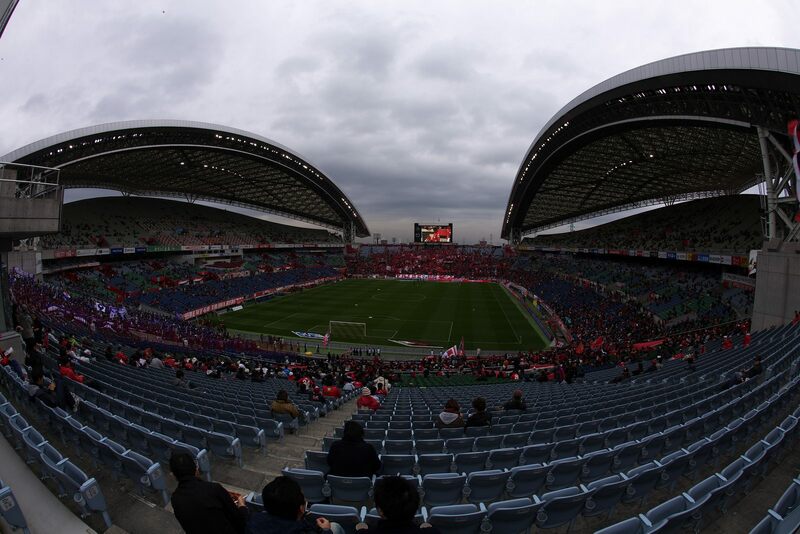 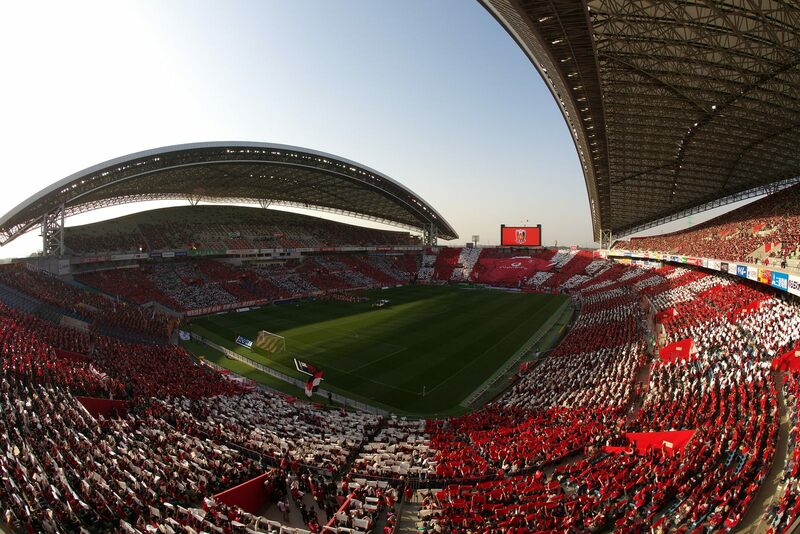 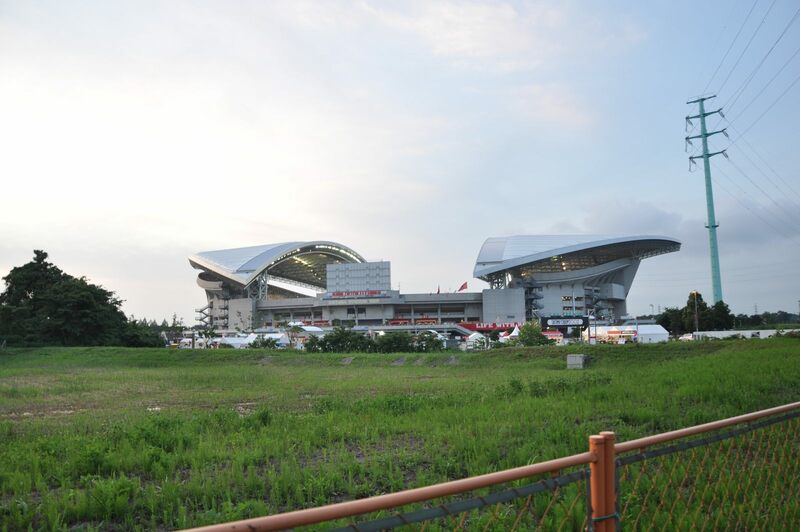 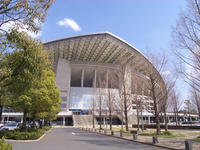 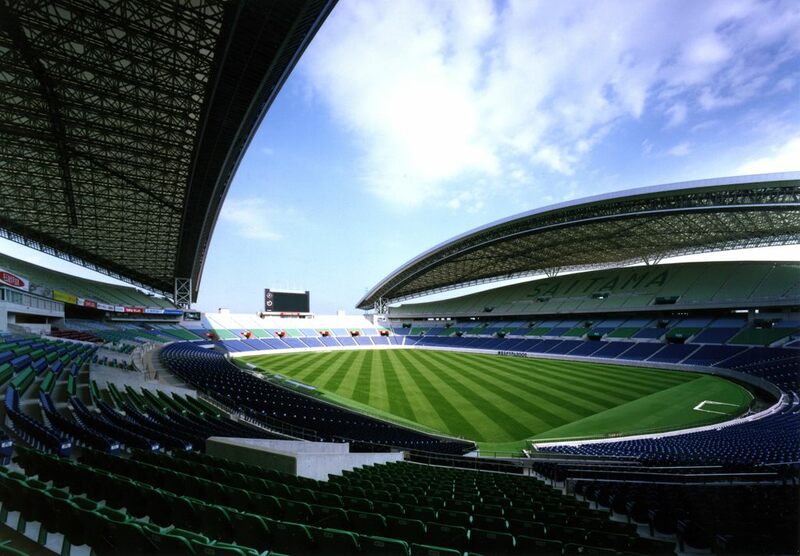 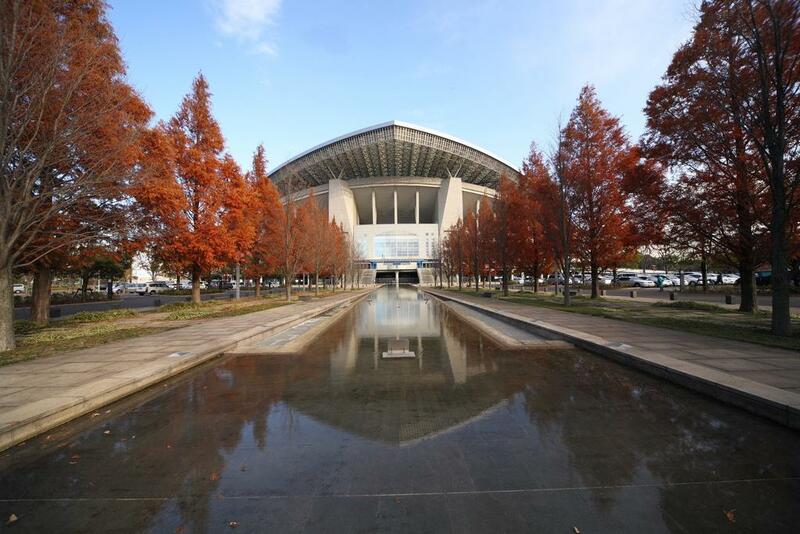 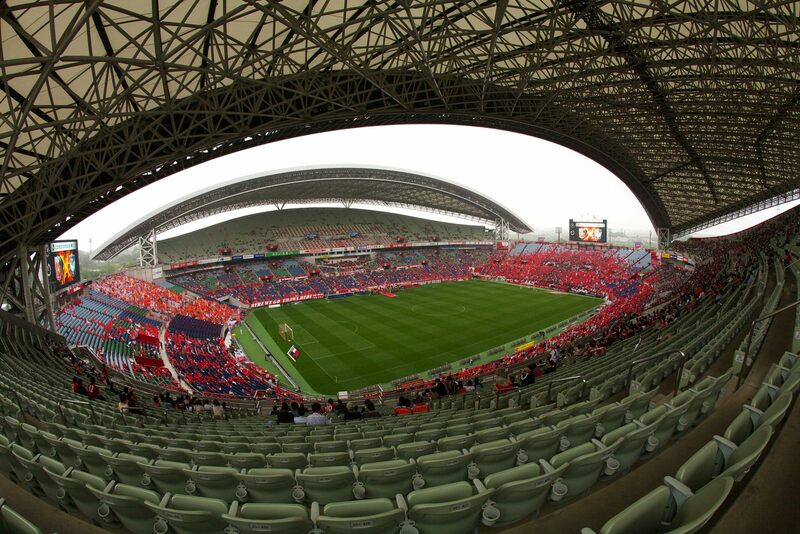 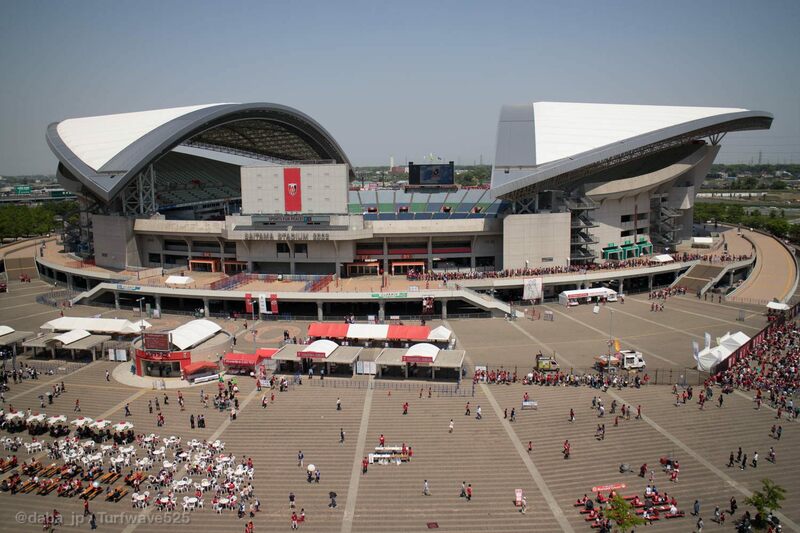 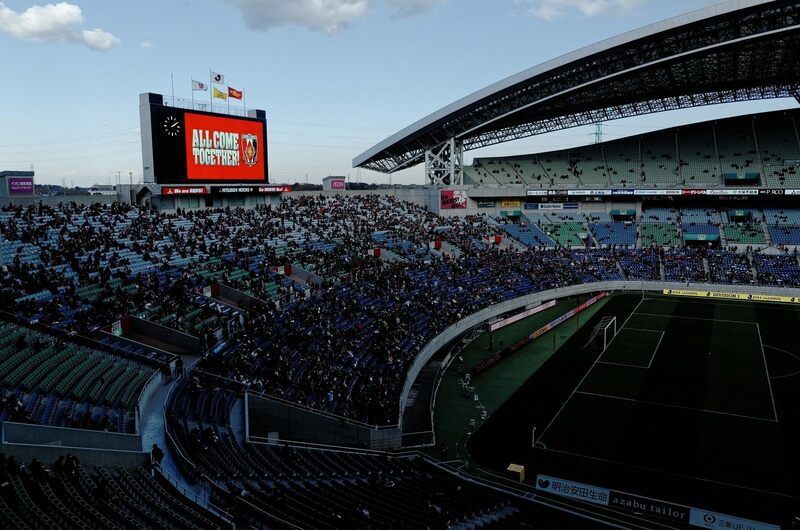 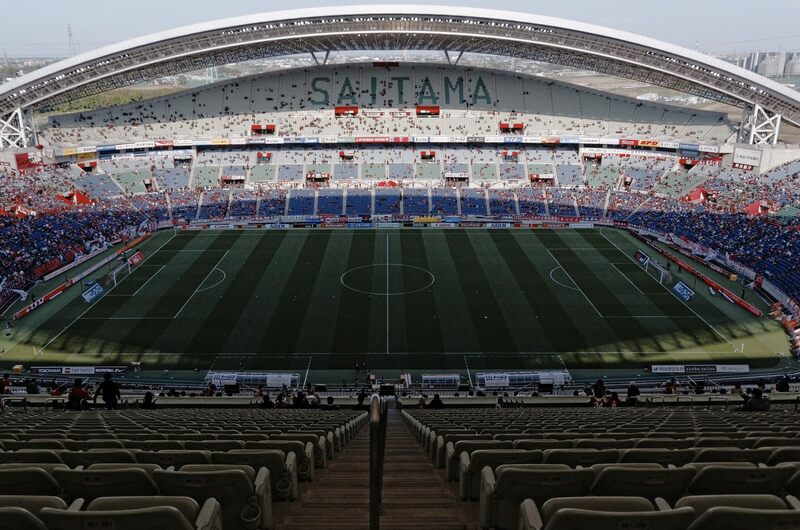 Urawa Red Diamonds, perceived by some to be Asia's most popular club, have been holding their home fixtures here (sharing with the Komaba Stadium) since 2001, building attendances rarely seen in other Japanese venues.